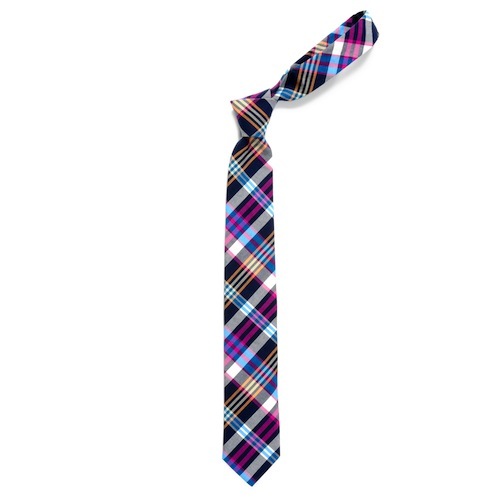 This Alcott Plaid Necktie has ‘favorite tie’ potential in our books. Using a nice range of rich jewel tones in a cheery, berry-inspired palette, this plaid tie is the perfect accent piece for a casual day out and about. Pair it with a royal navy blue blazer or jacket for an approachable yet still elegant look. Available now at Earnest Alexander. This entry was posted in Accessories, Ties and tagged Earnest Alexander. Bookmark the permalink.